The TI7 Battle Pass, available last year, had promised baby Roshan figures for all those who purchased it. Though owners have begun to receive the statues, they were disappointed in the quality of the product. 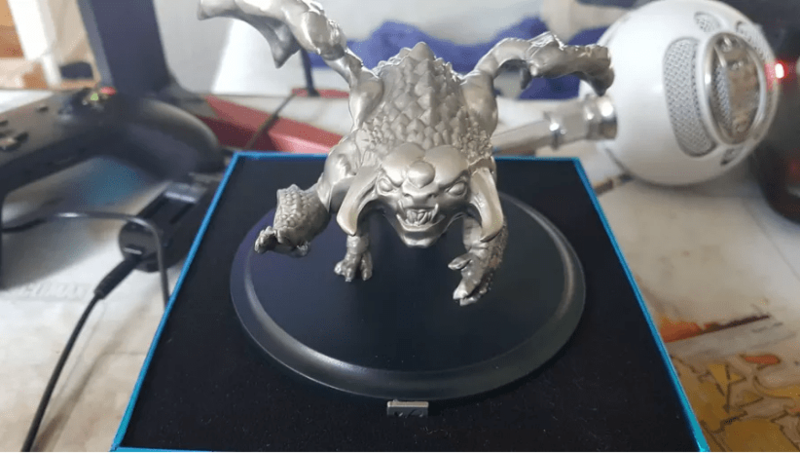 Pictures of the statue started to float all over the Dota 2 subreddit and showcase a striking contrast between the pictures of the baby Roshan Valve provided over how they look in reality. The backlash was great enough for Valve to apologize and promise better replacements by starting from scratch. According to Valve, these replacements will be delivered as soon as possible. Owners of the 2017 statues get to keep their ugly baby Roshans; perhaps they will grow to love and cherish them while they wait for a new addition to their statue family. On May 8, The International Battle Pass for 2018 (TI8) was revealed and managed to raise more than $9 million in just one week for the prestigious Dota 2 event due in August. Funnily enough, the battle pass is offering baby Roshan statues once again. Hopefully, this time Valve learned from their mistakes and will be a bit more diligent in managing the production process responsible for the statues. Battle passes tend to work similar to kickstarter projects, with milestones (or levels) that unlock additional content and bonus features as more money is raised. A feature exclusive to 2018 is the fact that battle pass owners this year can take advantage of a role matchmaking system where, much like in League of Legends, they can choose a role that they wish to play before finding a match. Accompanying the battle pass was a big patch for Dota 2, which included a new PvE mode called “The Underhollow”. It’s basically a battle royale mode redesigned for the MOBA genre. The last one standing get Battle Pass levels as their reward.